Meet Chatimal, the ‘I say what you say’ talking hamster! Chatimals are the hugely funny soft toys that repeat what you say in a high picth voice. Just press the button and wait for the red light to come on and hear Chatimal repeat your words. 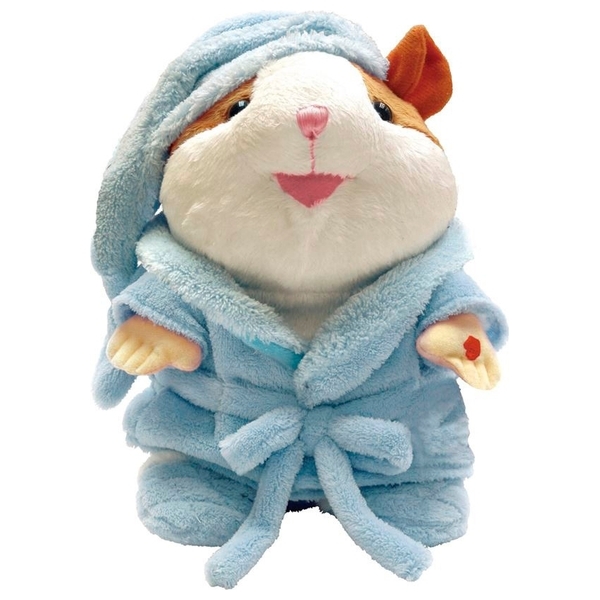 Chatimal is a soft and furry hamster and comes in an adorable blue bathrobe.